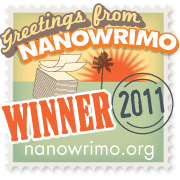 With the coming of NaNoWriMo 2011 all I can think about is what my next project is going to be. Well… along with some other stuff too; but I prefer thinking about writing; its a lot more fun! And the ideas I have so far are enough to keep me buzzing, but part of the problem I have is that I don’t know how to begin them. After all… how do you start a novel? It is a novel we’ll all be writing next month, though I feel that the starting rules can be the same (in some degree) for both a novel and a short story. The general (very good rule) is to start with strong sentences that grab the reader’s attention and invite them to stay with you for the duration of the book. Well that sounds like a fantastic idea! Its a great starting formula and there are, in my opinion quite a few ways to do that. These are some of the ways I’ve seen and they all seem to work pretty well. People talking, perhaps to themselves, perhaps to someone else, but before you get so much as a page into the book there is more you want to know more about. Starting with speech is a good way to draw readers directly into the space of the story, but then it depends on what comes next as to how long they stay there. Place your reader in the middle of something that is happening to your characters. Exposition and background can (and should) come later, but to open your novel/short story, you want to show the reader that something worth reading about is happening within the pages. Fred leaned down, extending his arm through the open double doors to the red-eyed child huddled at the bottom of the lift. Sheryl slammed the door behind her, marching away from the house, her husband, her children, her life. The hooded stranger twirled the dagger skilfully through his fingers, a playful smile dancing across his shadowed lips. An action gives a reader immediate pace and, if played right, touches on that natural curiosity in each and every one of us. I actually think this one is a bit more risky. I’ve seen it done well, but I know that I, personally, would have trouble doing it myself in a way that satisfied me. The ice cold wind chased flakes of snow across the barren hills, rimmed in the moon’s soft silver. Moisture dripped from the cracked stone ceiling, pooling at the base of the cramped metal cell and its single sobbing occupant. The purple moon sank fast, dipping below its blue-hued twin as the last light of the night faded on the planet Xanthir. If its important for you to place a story quickly (like for a short story, or for flash fiction) then this is probably one of the better ways to do it. Its incredibly important for your reader to understand when/where you are when they start, otherwise its very difficult for them to connect with your piece. However, if you have more time to spend on revealing that, then I’m not sure this style suits. This entry was posted in Ileandra's Posts, Illy Tips and tagged ileandra, Ileandra Young, novel, postaweek2011, reader, sentence, write, writer, writing, writing tip. Bookmark the permalink. My advice (for what it is worth! ): don’t think about opening sentences now. 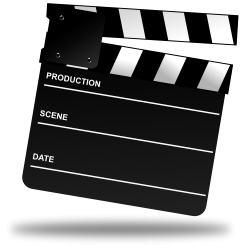 Think about your characters, the plot and sub-plots if you want to but the opening sentences? No! Why? Because the opening sentences belong to the editing process, when you’ve got your story. You start moving the scenes, even the chapters and you know then how you want to start your novel. 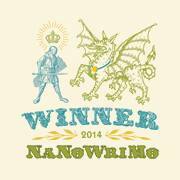 That’s what NaNoWriMo is all about: writing a novel. You can start it at the beginning or at the middle, even at the end if you want to. I read somewhere that Margaret Mitchell started Gone With the Wind by writing the end so she knew where her story would go! Hey thanks. Thinking about it that way, you’re probably right, particularly when NaNoWriMo is, as you say, about writing the novel. I can worry about ‘making it good’ afterwards, right? That’s certainly what I did last year. I like to think of the opening scene rather than the opening sentence. Once I’ve decided who my characters are and where the plot is going, I like to visualise my opening scene. Who is the POV character, what are they doing at the moment the story opens? A little scene setting doesn’t hurt, if it’s mingled in with something happening or, as you gave an example of above, someone talking. A whole paragraph of description can work, but doesn’t always and I try to steer clear of that. Some people say start in the middle of the action, but I don’t think that should be taken literally as something exciting happening. So your protagonist is hanging from a frayed rope over a crocodile-filled pit? So what? I don’t know anything about them yet so why should I care. In the middle of the action could mean the action of baking bread, or lacing their boots ready to go outside in the snow. As long as someone is doing something, it’s action. That’s so bizarre… I have a memory of something I wrote years ago (I must have been sixteen or something) that opened with somebody dangling off a cliff with raging white-water rapids below. Going back to it a few weeks later even I didn’t care as I had no idea who this woman was. I just thought it was funny that she was hanging on by her fingernails and worrying about her manicure. Hehee.